Oh, Boy. A stopped-up drain. Are you staring at a clogged kitchen sinks? 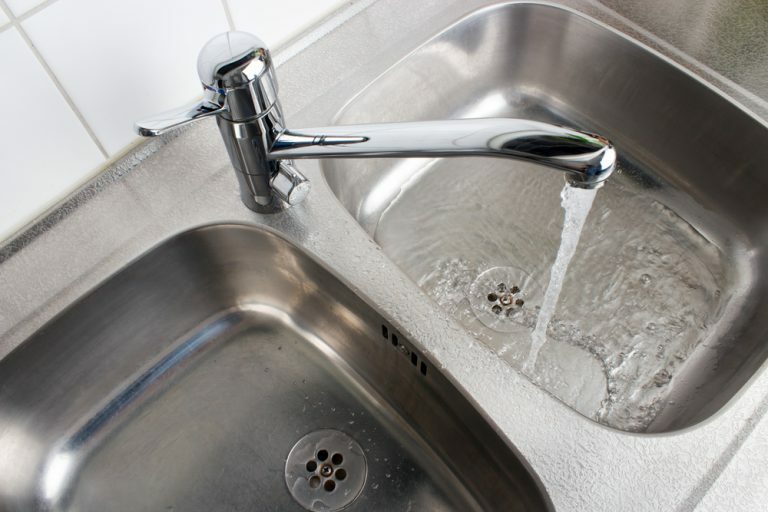 Is the stagnating water in the sink making you feel sick? The biggest reason why kitchen sinks clog is because people aren’t mindful of what they’re throwing down the drain. Anything and everything go, from eggshells to kitchen oils. But with a such cavalier attitude, you can either jam the garbage disposal or cause a buildup along the pipe’s walls. Bottom line, treat your kitchen sink with respect. Care for it in the present to avoid having to deal with big problems in the future. While drains may be able to keep up for a while, it’s only a matter of time until all that grease and grime clogs them up for good. Here are a few things you shouldn’t pour down your kitchen sink, how to unclog your sink ideas, and garbage disposal tips. Some people seem confident that coffee grounds down the drain will not present a problem because coffee smells so delicious it may actually freshen up your dirty drain, right? Well, most plumbers disagree, saying that nothing causes more blockages than coffee grounds. Coffee grounds stick together and can easily block your pipes after time. Including cooked/and or melted fat from meat, bacon, sausage, poultry, skin from boiled poultry, and even gravy. Grease even when run with hot water, will at some point stop and congeal. Indeed, hot water simply delays the process, pushing the future greasy clog further down into the drainage system where it will be harder to access. Even with a garbage disposal, eggshells create granular waster that loves to hook up with other waste to form clogs. When ground, they turn into a rough, abrasive, sandpaper-like substance which can actually blunt the blades. These sticky little bits of plastic may not look very harmful, but they can get stuck in your drain and pipes. Also, they can get stuck on wastewater treatment plant pumps and hose, or get caught in screens and filters, and if they get past all that, they end up in the water. So, please do not throw down the drain these produce stickers. Including cooking oil, olive oil, salad dressings, condiments and mayonnaise. Having you ever left a pan to cool, and noticed it turn into a thick, solid white substance? This is often what happens to the fat and grease you pour down your sink when it is allowed to cool down. It solidifies into lard! Don’t put fat and grease down your drain if you can avoid it. Make sure it cools down and use kitchen roll to wipe it away and dispose of it in the bin. Studies have found everything from ibuprofen and antidepressants to birth control hormones in our natural waterways. Rather than flush old medicine down the toilet or sink, as once advised, it’s much better to drop it off with a medication facility near you. Also, you can mix it with something unpalatable like coffee grounds sealed in a plastic bag and place it in the trash. Now that you know a few items to avoid draining down the kitchen sink and what you can do to unclog your kitchen sinks let’s talk about a garbage disposal. It’s no secret the garbage disposal is an indispensable kitchen appliance. Not only does its shred food scraps into tiny pieces to keep your drains and pipes clear, but it’s also useful for washing away crumbs and pesky sauces in the sink. Despite its benefits in reducing food waste, collecting all those food particles, bacteria, and debris comes at a dangerously smelly cost. It is important to clean your garbage disposal once a week to keep your drain working properly and your home smelling fresh. •	Do not put the wrong objects down your disposal. Your garbage disposal is designed to grind food scraps and nothing more. •	Break up large objects before grinding them. If you have large food scraps that you want to put down your disposal, give your unit a helping hand by breaking them up into smaller pieces and grinding them separately. •	Don’t use drain cleaners on your disposal. The chemicals in drain cleaners can damage your disposal. If you have a clog, give a plumber a call at Hansen’s Plumbing, located in Ventura Ca. •	Grind ice cubes to help maintain your unit. Grinding a few ice cubes once a month will help sharpen your unit’s blades and clear away waste that stuck on the walls of your disposal. •	Use cold water when running your disposal. Always run your disposal with cold water, because it will help prevent any grease or oils that have made their way down your drain from solidifying and clogging your unit. •	Keep your disposal clean by adding a small amount of dish soap down your drain with cold running water. This will help keep your disposal clean and combat bad smells. The garbage disposal is a big help in the kitchen and can handle just about any and everything you toss its way. But, to keep it humming along in tip-top-shape, clean it regularly and do not put the wrong scarps and liquids down the drain. Have you had to deal with a troublesome clogged kitchen sinks and have had no success to resolve the problem? Here at Hansen’s Plumbing we are available to help with your plumbing needs. Call us at (805) 647-0113 or you can book an appointment online.